The IIT Kharagpur has launched a study model that equips students, especially those belonging to rural schools, to become confident and knowledgeable individuals. 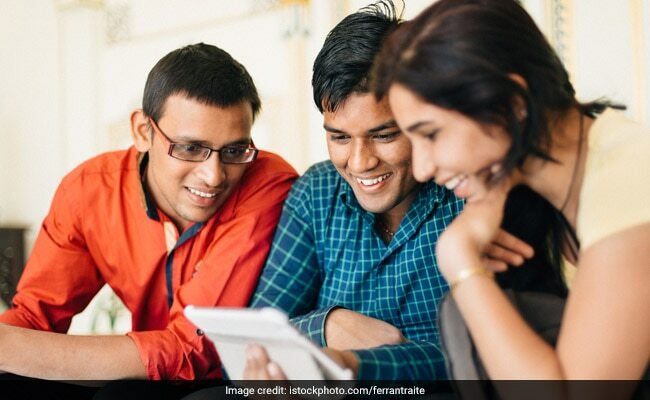 Kolkata: The IIT Kharagpur has launched a study model that equips students, especially those belonging to rural schools, to become confident and knowledgeable individuals. The project is called Innovative C minus 4 model for high school students, an official statement said. Under the C minus 4 model, high school students are trained and mentored so that they can teach students who are junior to them by four classes (minus 4), the statement said. 'C' refers to class while minus 4 implies junior (minus) by four classes. The research project has been undertaken by Professor T.K. Bandyopadhyay, Professor Pulak Mishra, Professor R K Pradhan and Professor P K Bhowmick of IIT Kharagpur and Professor Pijush Ghosh of IIT Madras. The project, which had started in April 2016, has been implemented in 12 schools in south Bengal and 11 schools in and around Chennai. "The C minus 4 education model was conceived to develop the personalities of school going children during their formative years," Professor Pulak Mishra was quoted as having said in the statement. With the aim of bridging the gap between qualified and employable graduates, this model strives to make the current generation of students confident and knowledgeable, with effective communication and working skills, Professor Pulak Mishra said. Students of nine of the schools, mentored under the C minus 4 project, came together at a recent workshop organised by the institute to showcase the results. The statistical findings shared at the workshop showed that of the 66 mentored students of the nine schools), 91 per cent got better marks now, 74 per cent showed better attendance. Eighty-one per cent of the participating students felt that their overall personality had improved, the statement said. Professor Ghosh of IIT Madras said, it was very important to have sustained funding "to sustain the programme, to scale it up and increase its visibility." The first phase of the project was financially supported by the CSR fund of oil and natural gas major TechnipFMC India Ltd.
"We hope that the Central and state governments, non-governmental organisations, corporates and foundations engaged in CSR will adopt this proven social science research and help bring positive change in the Indian school education system, Professor Bandyopadhyay said.